Pañalon in collaboration with Tradilo receives students from IES Vidal y Barraquer de Tarragona. 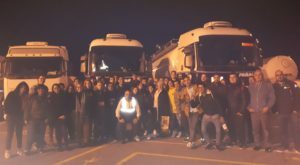 Like every year, on November 21, Pañalon, in collaboration with Tradilo, received a group of students from the Transport and Logistics Module of IES Vidal and Barraquer de Tarragona. During the day personnel of Pañalón explained the students specific characteristics of the company, the different business areas in which Pañalón works, and the characteristics and differences between the fleet of tanks, silos and containers. They were also given a small conference on the transport of dangerous goods. 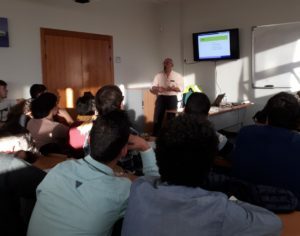 The students had the opportunity to see Tradilo facilities and the services provided in the terminal, cistern cleaning facilities, repair and mechanics, gas pump and to know the emergency equipment and action processes in case of accident.